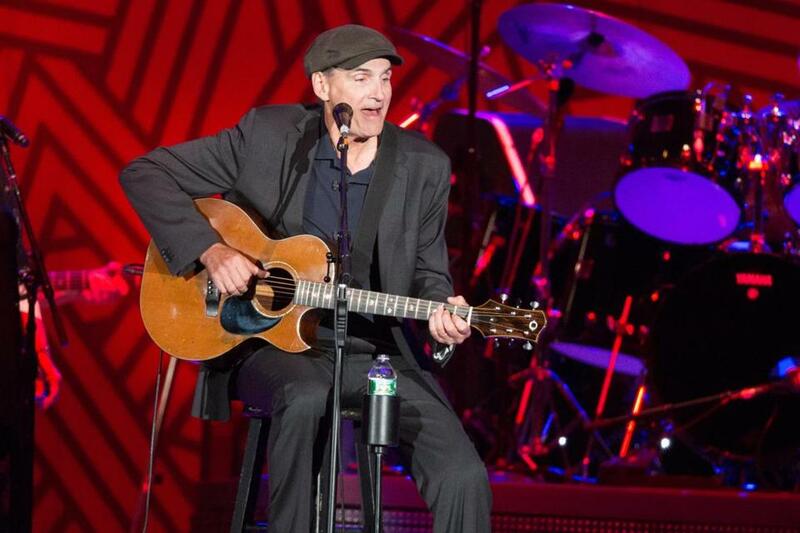 The humble, the exceedingly talented James Taylor hitting it clear outta the Park last night. Singing every word of “Fire and Rain” on the couch of my parent’s living room, looking out the bay windows, feeling so deeply I thought I would burst. Crooning “You’ve Got a Friend” with my AFA’s (this is the original sign-off that meant A Friend Always, showing my age again), Cruising around California with my sister and singing “Mexico” and “Shower the People” over and over and over again. The chorus of Martha’s Vineyard summers, knowing every word BY HEART, with sea and sand and country roads surrounding me. The concerts: in Fairfield, in Harvard stadium, on the Vineyard with Carly Simon post-divorce (where my cousin literally WILLED us of the two impossible-to-get tickets, laying on the grass at AgHall). Sitting next to him at Lucy Vincent Beach and deciding not to bother him (GOD IT WAS HARD). Jags of only playing his music, only his all knowing, iconic voice. So many musical stories that could bring me to tears, make me feel my heart, my soul, and everything important. So many words, so much music that resonated, that I sang out in my WHAT IS THAT NOISE, IT SOUNDS LIKE A DYING ANIMAL voice, throughout my life, around the world. The resplendent sound, and meaning, and sweet music of James Taylor has been as much a part of me as my limbs. An extreme thing to say, but I do believe it’s true. 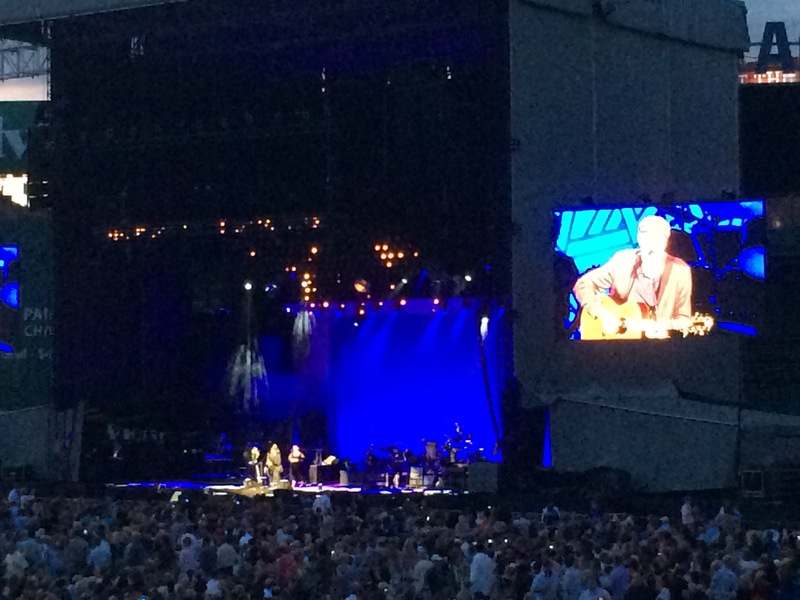 Last night, at Fenway Park, under dreamy skies, with my husband and one of my very closest friends and her guy, I saw James Taylor again, and his voice was the same as it has always been–pure, sincere, and comforting. Old songs, but sadly not all of them, new songs, I will buy today, and humble words of thanks from him, to be experiencing a night in Boston’s famed ballpark doing what he does. My husband made an emoji playlist. Don’t ask. Me. Colleen. A night to remember. Colleen and Todd. This was Todd’s first time at Fenway (he’s from California). Sometimes you have a moment when things are perfect, and you feel like all is right, like nothing could ever be wrong or bad. That was last night. I kept looking at the sky, standing up and dancing when nobody else was, just immersing myself in the experience of a truly other worldly night in this town. On a lighter note, my husband has become obsessed with emojis. Before the concert he was emoji-ing my friend and I song titles. She was participating too. I was laughing (and trying to get some work done). Well, that wasn’t the end of it. 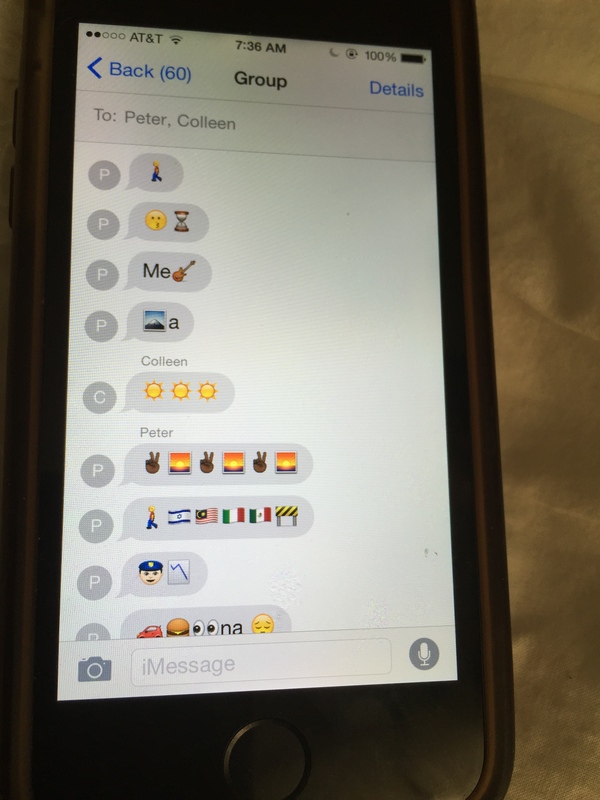 He group messaged us every song in emoji form. Yes, that happened. I’m not even discussing Bonnie Raitt, who was the warm up band! I mean, she is a show all by herself. And her voice is as crystal clear and perfect as it has always been. A night for the books, as my friend texted me this morning. “The Secret O’ Life.” (my very favorite song, if you don’t know it, listen to the words today). So jealous of you and all of the others I know who were there at Fenway last night. Wishing I were back in Brookline where I could hear Fenway concerts from my bedroom! Alas, I’ve “Gone to Carolina” not just in my mind but for real so I miss this great concert. Thanks for sharing!